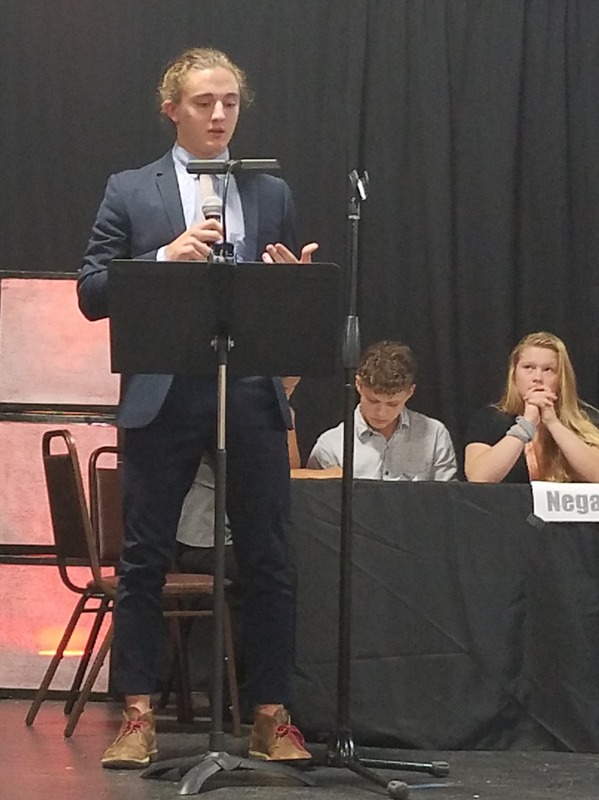 Secondary history students debated history Friday afternoon in a modified Lincoln-Douglas debate. Topics for the debates came from the time period each grade level is currently studying. Therefore, students not only had to understand their history, they had to affirm or negate the nuances and moralities of their given resolutions about historic events. 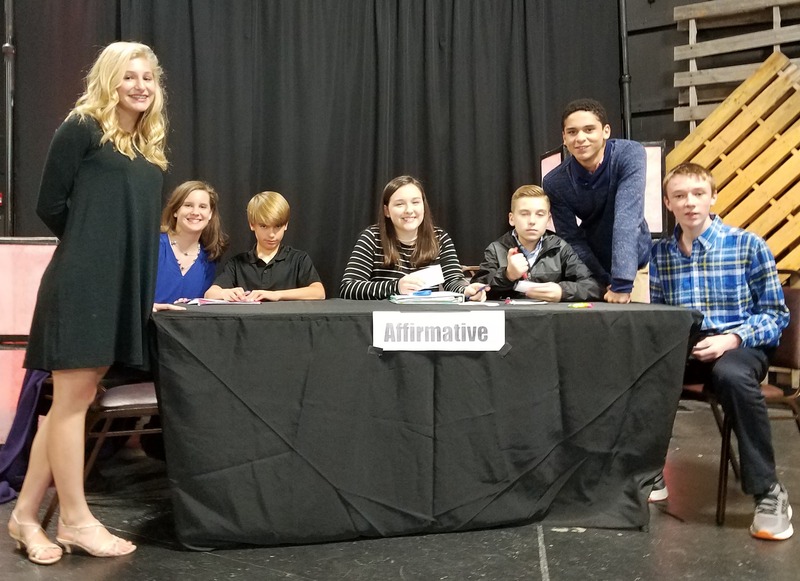 Teams followed specific debate structures with time limits, which encouraged students to sharpen their communication skills as they worked to fit as much information and support into a limited amount of time. All students showed great courage and knowledge on stage, and all did a job well done.